Dr. Joseph D. Czinder, O.D. Under graduate degree, B.S. in Zoology from Michigan State University, Graduate degree O.D. from Illinois College of Optometry. Diagnostic Pharmacology Agents and Therapeutic Pharmacology Agents Certified. Past president of Michigan Optometric Association, a past president Big Rapids Lions Club, recipient of the Michigan Optometric Association Key Man Award, Big Rapids Lions Club Outstanding President Award, Mecosta County Area Businessman of The Year Award, Mecosta County Selective Service Board member. 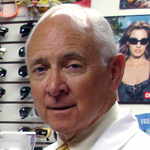 Dr. Czinder has been in private practice of Optometry for over 40 years in Big Rapids and member of the Michigan Optometric Association for 46 years. 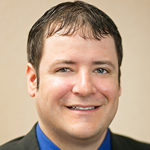 Dr. Nicholas S. Czinder O.D. B.S.B.A. in Human Resource Management and a Marketing Minor from Central Michigan University in May 2005. Graduate from the Michigan College of Optometry in May 2013. Diagnostic Pharmacology agents and Therapeutic Pharmacology agents certified. Member of the Michigan Optometric Private Practice Association, American Optometric Association, Past Student Liaison of AOA-PAC at the Michigan College of Optometry, Past Vice President of the Michigan Optometric Student Private Practice Association, Officer of the Big Rapids Elks Lodge #974, Member of the Big Rapids JAYCEES. Dr. Czinder also volunteers yearly at the Special Olympics in Mount Pleasant Michigan providing vision screening for the athletes. Charlene is a graduate of the Opticianry program at Ferris State University. She is certified by the American Board of Opticianry and the National Contact Lens Examiners. 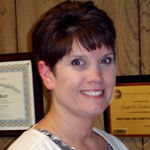 She has been with Dr. Czinder since 1997. With her experience and training she is able to provide you with the best care available including adjustments, repairs and frame and lens selection. She is looking forward to helping you with your optometric needs. Patricia has been an Ophthalmic Technician for 36 years. She attended Monroe Community College as well as Optometric/Ophthalmic/Optician courses nationwide. She is JCAPHO Certified as a COA. She has held a position of Director of an Eye Clinic and Low Vision Clinic. She has served on the Executive Board of The National Association of Vision Professionals. 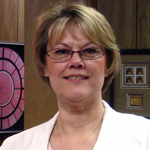 Patricia is also a Vision Consultant for the State of Michigan and was actively involved in United Way for 10 years. 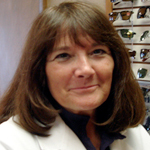 Since 1990, Kay has enjoyed using her expertise in contact lens dispensing, instrument proficiency, and is able to provide patient's with the newest information on options for frames and lenses. Her knowledge allows patients to secure the best eye-wear choices suitable for their lifestyle.